The girlfriend of the Las Vegas gunman Stephen Paddock had no idea he was planning violence, according to her lawyer. Marilou Danley has been questioned by the FBI after being met by investigators on her return to the US from the Philippines. Her lawyer Matthew Lombard spoke in Los Angeles where she had arrived after flying from the far east where she had been visiting family. While she was there, Paddock shot dead 59 people at a country music festival and injured hundreds more when he fired upon a crowd from a hotel window in the Nevada city. 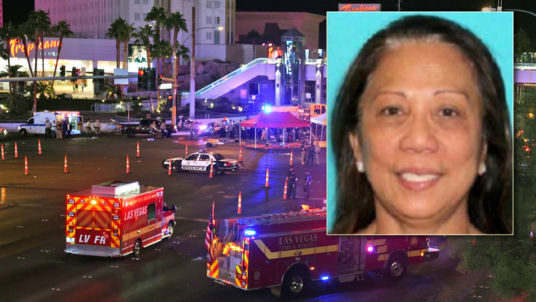 Ms Danley issued a statement after reports emerged that Paddock had wired $100,000 to the Philippines while she was abroad. She said she was initially pleased when her 64-year-old boyfriend wired her the cash to buy a house for her family, but later feared it was a way to break up with her. "It never occurred to me in any way whatsoever that he was planning violence against anyone," Ms Danley said in the statement read by Mr Lombard. She said she knew him "as a kind, caring, quiet man". Ms Danley, who is classed as a "person of interest", spoke with the FBI for several hours as the investigators' struggled to establish a motive for Paddock. She lived with the former accountant at his retirement community home in Mesquite, Nevada - where officials searching the property have found a number of weapons.